In 2009, Bill Fisher opened this low-key restaurant after his previous eatery, The Fisherman's Pier, was destroyed in an explosion. It is named after the street on the north side of King's Bay, where Bill proposed to Paula years ago. This downtown eatery--which takes its name from its address on Hawthorne Street--attracts a diverse crowd, from youngsters in search of a cool hangout to adults popping in for a few drinks. The fare is typical but receives high ratings from most customers. Courtney Chase worked here as a waitress. This coffee house finds its appeal in its cozy atmosphere. 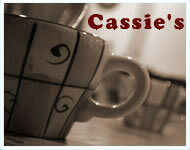 Old, comfy couches, big, steaming mugs, and live musical performances in the evenings make this quaint stop a favorite. In 2009, Danielle Taylor played at Open Mic Night--and Diane Bishop recorded her performance for use in a revenge plot. 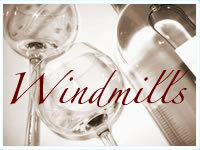 This upscale restaurant is a prime location for a romantic night out. The glass-and-silver decor provides a fine environment for dining and dancing. Of interest: it was outside of Windmills that Katherine Fitch was shot on Valentine's Day 2000. Camille Lemieux's fashion design firm opened in 2004. The company is housed on an upper floor of downtown Winston Tower. Molly Fisher is a designer here. Past employees include Ryan Moriani and Julian St. John. 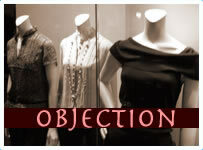 Trevor Brooks was a model for the first line that Objection launched. This publishing house is headquartered in King's Bay. Diane Bishop and Tim Fisher work here, as did Brian Hamilton at one point. 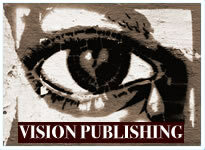 Vision has published Alex Marshall's novels and Ryan Moriani's memoirs. Jason Fisher used his inheritance from Shannon Parish to refurbish the King's Bay Ice Arena where he grew up skating. The facility now includes the rink, a gym, and a café. Jason, Seth Ashby, and Sabrina Gage work in the administrative office, while Sandy James oversees the skating program. Travis Fisher also works at the arena part-time. This café is located on the ground floor of the Edge of Winter Arena. It is frequented by arena employees, athletes, and their parents, but other King's Bay denizens often drop by for a beverage or to hold a quick meeting, as well. The flagship store for Camille Lemieux's design company is located on Platz Street in downtown King's Bay. Kelsey Barker was once an assistant manager here. In 2005, it was the site of a massive drug bust that was traced back to Julian St. John and Nick Moriani; Scotty Young was arrested in the bust. Run by Byron Willis and his wife, Susan Johnson, this firm handles advertising for a wide variety of companies in the Pacific Northwest. Molly Fisher once worked here as a receptionist; now Lauren Brooks and Josh Taylor are climbing the company ladder. 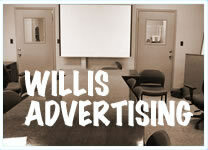 Willis handles the advertising for Objection Designs. With the luck that the characters tend to have, the hospital is a frequent setting for action. Claire Robbins Fisher is on staff as a nurse. It was also the sight of Diane Bishop's seduction of an amnesiac Tim Fisher, which led to her pregnancy with Samantha. From time to time, the characters find themselves entangled in criminal trials and custody hearings. It was here that Ryan Moriani's parentage was revealed in 2003. The largest park in town is located across the street from the apartment building in which Sally & Alex Marshall once lived. It contains tennis courts, soccer and baseball fields, a lengthy walking trail, and more. It is also a popular site for picnics. It was here that Paula Fisher ran into her former lover, Stan Lincoln, as he fled a crime scene. King's Bay is a typical Pacific Northwest town. Located a few hours from Seattle, the town sprung up around the body of water after which it is named. The waterfront remains the site of much activity, with restaurants and shops located along the docks that line the water's edge. Adjacent to the waterfront is the downtown area, where several important businesses have headquartered themselves. Beyond downtown are the residential areas where families like the Fishers live. The locals are used to the Western Washington weather, which leans towards the rainy, particularly in the winter. Prime skiing in the passes of Central Washington and the gorgeous weather of the coastal beaches are just a few hours away in either direction.